What does it mean to fix things? And how might starting from maintenance and repair, instead of design, innovation, invention, etc. – change how we think about technology, art, and creative human action in the world? This talk will draw on recent and older work in philosophy, sociology and technology studies to make the case for repair as a crucial but widely undervalued dimension in our relationships with the non-human world. It will also report on a wide-ranging program of ethnographic research with fixing communities from around the country and around the world – from mobile phone repair workers in Namibia and Bangladesh, to amateur repair movements in Europe and the U.S., to installation and new media art projects that take technology breakdown and repair as a central method and topic of work. It concludes with speculation on the nature of maintenance and repair as a form of ordinary hope. 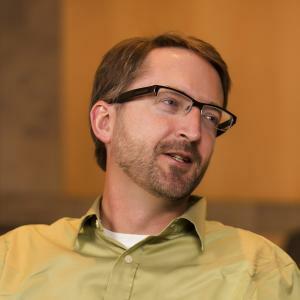 Bio: Steve Jackson is a faculty member in the Department of Information Science at Cornell University, with additional graduate field appointments in Communication, Public Affairs, and Science and Technology Studies. Along with his intrepid colleague Phoebe Sengers, he is also co-Director of Graduate Studies for Information Science. Dr. Jackson teaches and conducts research in the areas of scientific collaboration, technology policy, democratic governance, and global development. More specifically, he studies how people organize, fight, and work together around collective projects of all sorts in which technology plays a central role. He also studies how infrastructure – social and material forms foundational to other kinds of human action – gets built, stabilized, and sometimes undone. This brings him regularly into worlds of policy (especially technology, research, and development policy), organizational or institutional analysis, and occasionally into design (mostly as analyst and critic). He spends much of his time doing ethnographic and sometimes historiographic research, where he studies how shifting policies, emerging technologies, and cultural innovation meet complex and historically-layered fields of practice. He thinks a lot about governance – how order is produced and maintained in complex sociotechnical systems; time – how we experience, organize, design, and work around the temporal flows and patterns that shape and define individual and collective activity in the world; and breakdown, maintenance and repair – as sites of innovation, power, and ethics in complex sociotechnical systems. At the broadest level, he studies how things change and how they stay the same, in a world that is furiously doing both.